The city of Saint Louis, Missouri features well over 300,000 residents and a thriving local arts culture. Saint Louis business corporations experience an ever-increasing demand for graphic designers, especially in the highly specialized field of illustration design. Illustrators design original reference charts, nature scenes, comic book art, textiles and stationery supplies, among many other things. The area in and around Saint Louis, Missouri features several colleges, Universities and private study centers with technical training and degree opportunities in illustrative arts. Saint Louis colleges with graphic arts departments include Vatterott College, Patricia Stevens College, Webster University, Fontbonne University and University of Missouri. Still, Saint Louis illustrators of increasing numbers are sharpening their skills and earning degrees online. 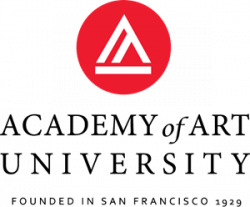 Distinguished accredited online colleges of fine arts include the Academy of Art University, National University, Post University, Full Sail University, Stratford Career Institute, University of Phoenix, The Art Institutes, DeVry and ITT Tech. Internet-based design schools frequently provide supplemental local facilities. 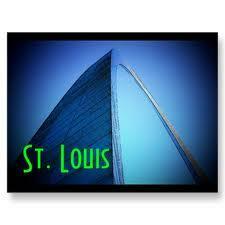 University of Phoenix, The Art Institutes and DeVry all maintain locations in St. Louis. Businesses in Saint Louis that hire professional illustrators include printing presses, legal service corporations, software developers, book publishers and music producers. Some Saint Louis illustrators join leading local graphic design firms like Amies-Graphic-Design, DDS-Graphics, Graphic-Masters, Paradowski-Graphic-Design and Quantum-Graphics, for example. Some local artists create technological illustrations for Saint Louis engineering firms like Engineering-Dynamics-International, Kuhlmann-Design-Group, Power-Engineers, Horner-Shifrin and Terracon, among others. Reports from the Bureau of Labor Statistics claim that the average reported annual income for full time illustrators employed in the city of Saint Louis, Missouri is roughly $63,720, with a reported mean hourly rate of about $30.65. Corporations in Saint Louis employ roughly seventy full time illustration artists. These figures do not reflect the employment stats of local freelance illustrators. Professional illustration artists consistently demonstrate superb technique in reproducing intricate, highly-detailed visual images. Illustrators are often able to achieve a broad variety of styles, and are usually proficient with most forms of mechanical visual media. Other skills attributable to professional illustrators include lighting technique, photography, 3D modeling, script writing and web page design. Illustration professionals are also completely familiar with related illustration design software packages such as Serif Draw, Auto Trace, Sketsa SVG, Logo Design Studio Pro and Corel Draw.